Automatic Transmission / Converter Package - Call for details. If a customer requests modifications to their order after 24 hours of the initial deposit, BluePrint Engines will add a $250 Change fee to accommodate those changes. 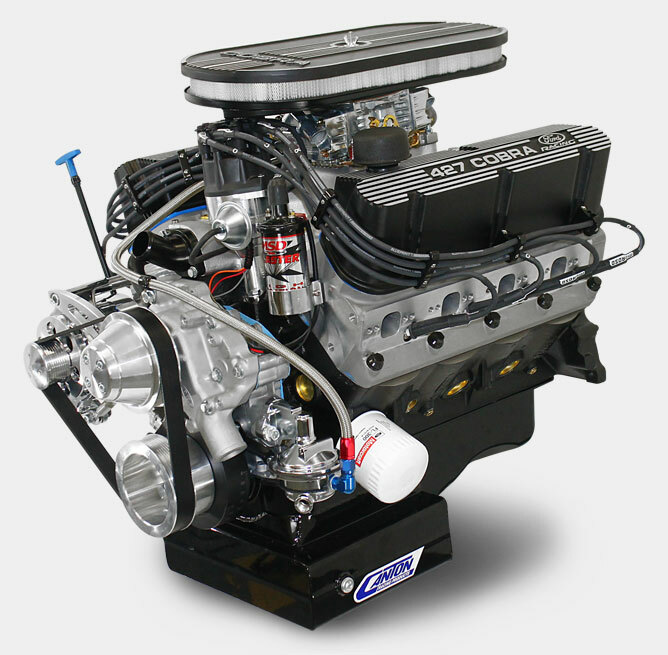 Choose your engine, front drive components and transmission package for a true FactoryFive turn-key build! Nothing sounds meaner than an American pushrod V8! Not to mention one that features 427 cubic inches, and even outpaces the modern Coyote in Sound, Appearance, and HORSEPOWER! Designed specifically for your new Factory Five, your power plant choice is a no-brainer with BluePrint Engines’ all new series of turn-key drivetrain assemblies. Engineered from the ground up with 3 goals: Performance, Reliability and Ease of Installation. Because of this, you’re ensured predictable and dependable performance mile after pounding mile. Because what goes under the hood of your Factory Five is just as important as every other custom build choice you’ll make! 523 hp / 504ft. lbs. Call 1-800-483-4263 today to order or speak to a product technician!